This entry was posted in Uncategorized and tagged Anne Lamott, Cynthia Rylant, death of a pet, Dog Heaven, Ellie, Emma, euthanasia, Phil, Phoebe, The Art of Racing in the Rain by jessiepbraun. Bookmark the permalink. I’m so in awe of how you handled Emma’s death with the kids. 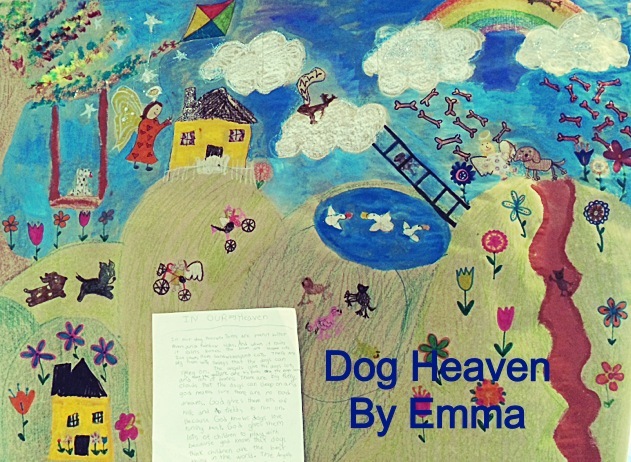 I loved Emma’s description of heaven for a dog. I like to think that a grown-up heaven is filled with dogs because their unconditional love and affection on earth makes it like heaven for us. This is a beautiful tribute. I had a similar experience almost two years ago with our dog. Your words brought it all back and speak perfectly to how I was feeling, down to thinking I saw her out of the corner of my eye in the days after. It was one of the hardest times of my life. 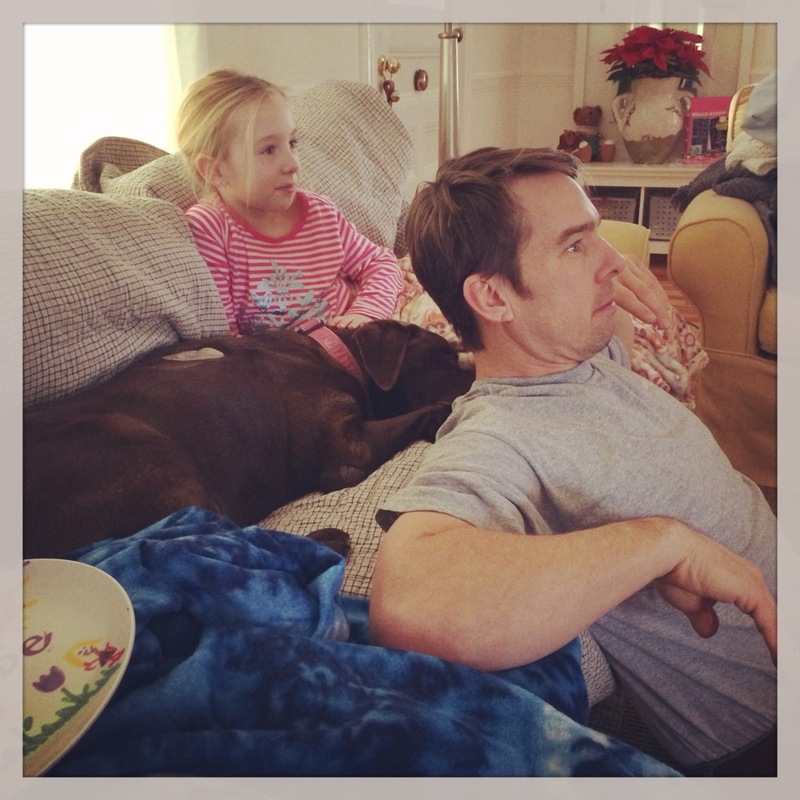 I haven’t read the previous posts about your dog, but you clearly loved her, so yes–you did the right thing. You haven’t tortured us…you would only be torturing yourself if you didn’t let it go, express her life and yours, and share it with us. Thanks for sharing with us. I admire your mothering of Emma, Phoebe and Ellie (and Phil:). I aspire to do the same. God bless! I hope when I get to heaven, I can visit Doggie heaven and take a massive gulp of that peanut butter river. Love you sweetie. Amazing, beautiful, sad and heartwarming. 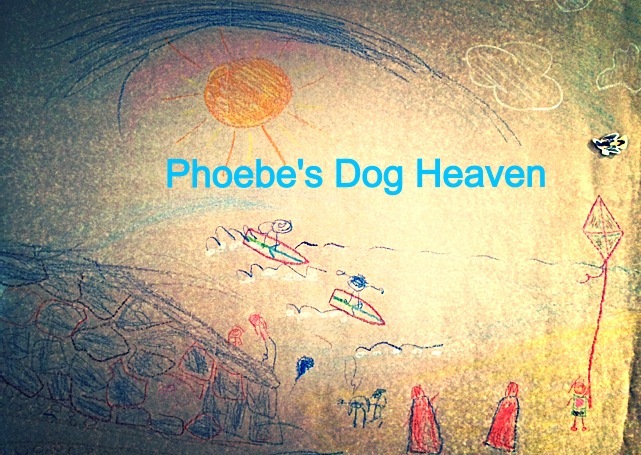 There is a poem called The Rainbow Bridge, it’s about where dogs go when they pass away. It’s where they run through meadows, free of pain. The sun always shines and they wait for their owners to pass by when they themselves pass away. 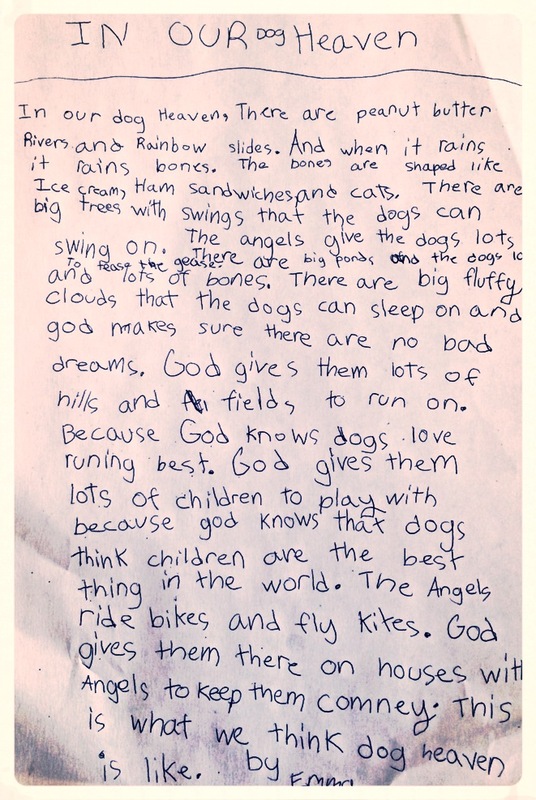 I think that Emma’s version of Dog Heaven is even better! Love to you all. Ellie is better now, you did right by her. Aww, that you Liz. I will have to find that poem. Yes Emma is a pretty awesome kid. She blows me away with her ability to create and express. aware of it. Therefore that’s why this paragraph is great.